Product certifications in China are a vital part of the process when importing from or exporting to China. If the safety of the product is questioned, customs can seize it until proper China product certification is presented. If the product certification is not presented then the items seized can be sent back or may even end up destroyed in cases that the product certification from China turns out to be falsified. The review of certifications is one crucial step of customs procedures. There have been many horror stories in the past of people importing goods into China assuming the supplier is providing products with the full certifications to their own country. However, it is best to assume a supplier remains unaware of your country’s regulations. Do your own research on the standards to which products must conform. Afterward, you can ask the supplier for proof of those certifications. Strictly speaking, most certifications do not necessarily mean good quality: They usually ensure that the minimum legal safety requirements are met. However, it is nevertheless a good indicator when a company can present many certifications for their products. The availability of different Western certifications means that the company has experience with exporting their products, which acts as a surrogate of acceptable quality standards. 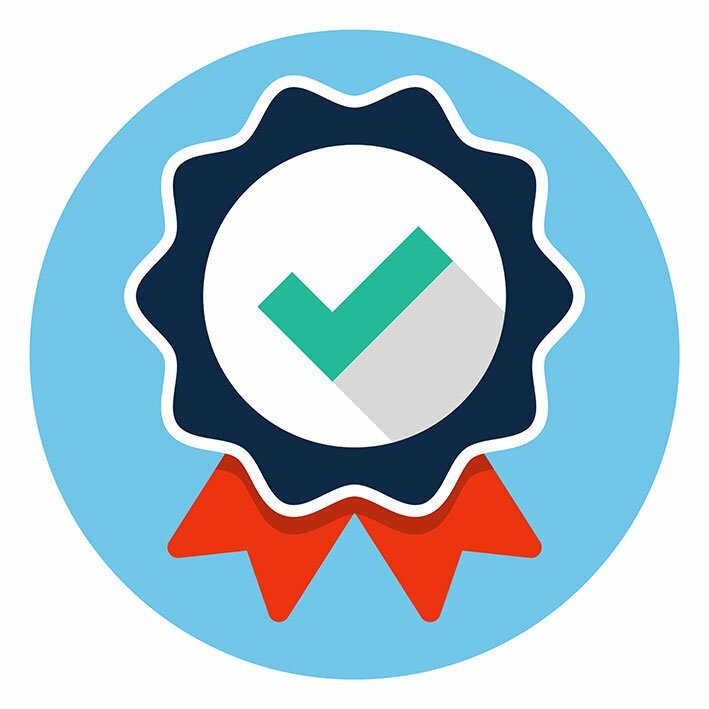 Furthermore, the necessary requirements for certifications often overlap and sometimes it is quite obvious that your product fulfills a certification standard if it has already passed another one. However, you always have to get the exactly right certification if it is mandatory–arguing about this does not help. Certifications are not only introduced for product safety reasons, but can also be seen as non-tariff trade barriers to make imports at least a little bit harder to protect the domestic economy of a country. Certifications are crucial and can be quite complicated to handle: From easy self-certification to extensive involvement of testing agencies and authorities. You should also be cautious of any proof provided. A factory inspection beforehand is definitely a good idea, since Chinese suppliers have been known to forge documents and test reports for exactly this reason, or alternatively provide correct certification for a different product. Each product requires its own certification, so even if they make an alternative product which is up to standard that does not mean all of them are. Approve for certification or return for additional review. An accreditation body approves certification agencies according to their “Scope of Accreditation” which details the tasks approved entities can perform (ranging from testing, inspection and product certification). Every country typically has one body which both issues certification approvals and maintains a list of approved certification agencies. Most accreditation bodies require mandate annual reviews. There are many organizations in China that have been reviewed by the bodies and are judged to provide the ability to give out certifications. Due to demand (many Chinese factories apply and gain certifications), there are many third party testing agencies available to consumers. This abundance allows consumers to both helps compare quality and prices between testing agencies. Testing agencies promote the distinct ability to ensure your goods will comply to the country of sale’s safety regulations. More importantly, these agencies offer a wide range of services including inspections during production, prior to shipment and while loading the container. Additionally, they audit factories to ensure you are importing a safe, compliant product. With quality being a big issue in China, these organizations play an important part in increasing trust and reputation. However, if you do not trust these accredited organizations many western certification companies have branches in China that can be used. One of the most well-known certifications; however, it actually does not tell you anything about the product standards. The China Compulsory Certificate (CCC or 3C) is a compulsory safety mark for products that are sold within China’s market that was introduced in its current form in 2002. It is required for all products that are manufactured in China but also foreign products that have been imported. The product safety requirements are specified in the Guobiao standards, which are continuously developed by the Standardization Administration of China (SAC). It covers basically all imaginable products in 159 product categories and in 23 broader classes which reaches from “Electrical Wires and Cables” to “Information Security Products”. A detailed list can be found in the “First Catalogue of Products Subject to China Compulsory Certification”. However, the certification is only relevant for products sold to end-users so that intermediate products and raw materials are usually not directly affected. The CCC certification process consists not only of product testing but also of factory audits, which makes the whole process relatively complex and tedious. It has to be noted that CCC mark is not exclusive, which means that a variety of products need other additional and more specific Chinese certifications to be sold legally. It is normally uncommon to have overlapping certifications within the same country. Another unique characteristic of the CCC mark is that it is administrated nationally by China. The products have to be tested in China and the factory audits have to be conducted by Chinese auditors. Furthermore, there is only a limited number of testing agencies entitled to do the certification. No foreign testing agency has been authorized for CCC certification yet. The Conformité Européenne (CE) certification mark is extremely important to companies who are based (or want to sell) in the EU or some other European countries. This mark is required for the majority of products sold within the European Economic Area (EEA) and has been required since 1985 for the free movement of products within the European market. The CE mark states that the manufacturer has checked his products meet EU safety, health or environmental requirement, and it is an indicator of a product’s compliance with EU legislation. There are more than 20 directives setting out the product categories requiring CE marking. Common examples are Low Voltage Directive and the Electromagnetic Compatibility (EMC) Directive for all kind of electronic devices and the Toy Safety Directive. CE certification is only required if there is no other more specific European regulation available. Chemical, pharmaceuticals, cosmetics and food do not require the CE mark since they are subject to other legislation. The product certification can often be done by the manufacturer itself in the form of a self-certification scheme; only in certain cases an authorised 3rd party testing agency is required. Therefore, you often do not have to file for this product certification and products are presumed to conform to the corresponding directives if the manufacturer states it. Of course the liability lies with the manufacturer in legal terms, which is commonly the importing company when the product is produced in China. Only afterwards a national enforcement authority can challenge any product on the market and pull samples from the market for examination. The Federal Communications Commission (FCC) certification is regulated by the Federal Communications Commission and relevant for companies producing or selling in the USA since 1975. This mark is essential for any device that creates radio frequency (intentionally or unintentionally) meaning a significant amount of consumer electronics and electrical equipment is affected. Many of these products conduct unintentional radio waves (Intentional vs. Unintentional Radiators). The FCC covers items such as radio, televisions, and satellite equipment and includes products with Wi-Fi capabilities (and even power supplies). Test produces for the FCC mark are similar to the Electromagnetic Compatibility (EMC) Directive for the previously mentioned CE certification of similar electronic products. However, separate testing and product certification is necessary. Again, in accordance with the procedure for the CE certification, the testing can often be done by the manufacturer itself (Verification) and sometimes has to be conducted by a 3rd party testing agency (Declaration of Conformity). As with most certifications, an “FCC Declaration of Conformity” only applies to each individual type of device. Therefore, it is important that the supplier has a proven track record and documentation to reassure you of the quality. The FCC certification is not actually a legal requirement in a strict sense although it is mandatory. Since the FCC does not have the legal measures to levy fines or impose seizures, they often target end-users directly to bring pressure on the manufacturer. The Voluntary Council for Control of Interference (VCCI) relates to Japan and is a product certification relating to electric products sold or produced in Japan. It shows a conformity to the rules and regulations that must be abided by, which are also mainly about electromagnetic interference. Therefore, the VCCI is comparable to the Electromagnetic Compatibility (EMC) Directive of the CE certification in the EU and the FCC in the US. The Kitemark is a voluntary UK product certification mark and is regulated and operated by the British Standards Institution, also known as the BSI group. It is different from most other certifications as it specifically is focused exclusively on products that are meant to ensure consumer safety. For example, motorbike helmets or fire alarms would benefit from having the Kitemark. If you are purchasing products from China to the UK it would be beneficial to have this mark on your products, while it is not a legal requirement, it is widely trusted and creates consumer confidence. The ISO (International Standards Organisation) is different from the previous 5 certification marks. Firstly it is not a mark labelled on any products. This standard is further different from the previous ones as it relates to the factory/manufacturing plant rather than to the end-user. ISO standards are applied to standardized processes, materials and services. There are currently more than 19,000 international standards developed by ISO. The certification according to these standards is conducted by various certified testing agencies and not by ISO itself. Furthermore, product certification in China, according to ISO norms are voluntarily and it was simply implemented to make trade easier and manufacturers/products better comparable. 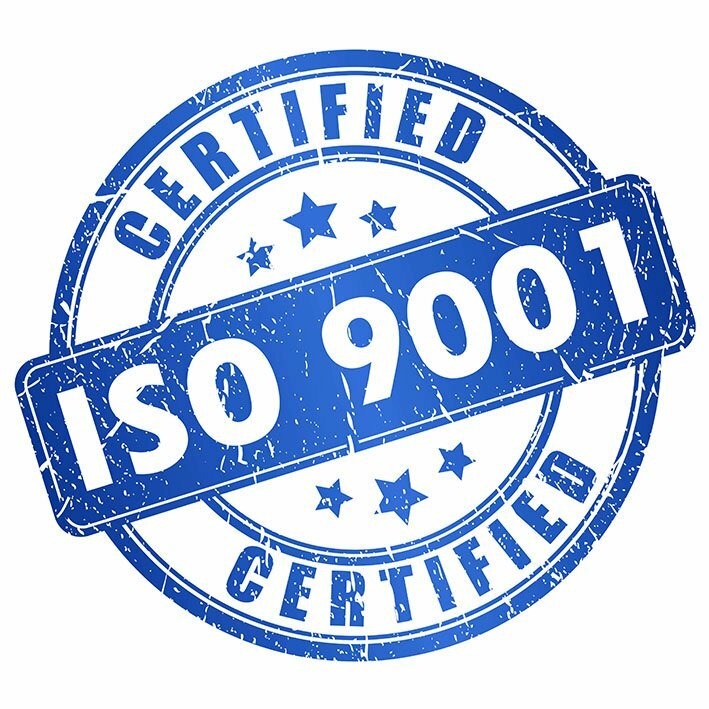 Despite of the wide range of ISO standards, the by far most common standard also for China is ISO 9001, which relates to having a quality management system. It is the most widely recognized mark and if a factory gains certification, it shows that the factory produces products on a minimum level of organizational quality. It aims at ensuring a factory has a quality management system which will increase productivity, decrease unnecessary expenses while also allowing for quality of products. There is a misconception of the ISO 9001 mark. Many people get confused between this and ISO 9000 product certification in China. You cannot get an ISO 9000 mark, but if you are ISO 9000 certified it means you follow the 8 quality management principles. ISO 9001 is represented by a certification mark because it can be defined by having a quality management system.